Tithonia Rotundifolia For The Cutting Garden. Tithonia Seeds….Very Handsome They Are Too. Tithonia Seedling 8 Weeks Old. So I came around to thinking that the Tithonia that I should stock in the shop for flowering next season should be the wild form…usually ‘Torch’ or ‘Fiesta Del Sol’ is sold for cut flower gardeners…but I think we should have a departure from those and get a bit more earthy. How To Grow Tithonia Rotundifolia From Seed. *Sow March to April in trays, pots, etc of good seed compost in a propagator or warm place to maintain an optimum temperature of 70-75F (20-25C). *I have made successful outdoor sowings in May…but it needs a good summer. *Sow your seeds in well drained compost, just covering the seed with compost, but do not exclude light, which is needed for germination. Germination usually takes 7-21 days. 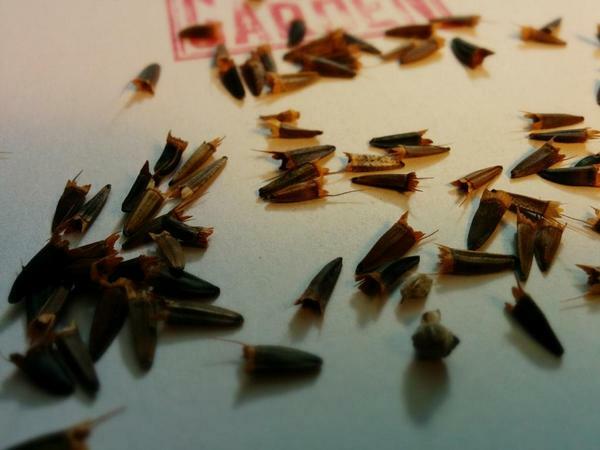 *Keep your Tithonia seeds damp during the germination process…but not waterlogged. *When all chances of frost are over…harden off…then plant outside to a spacing of about a foot to a foot and a half. *Soil should be moderately fertile. 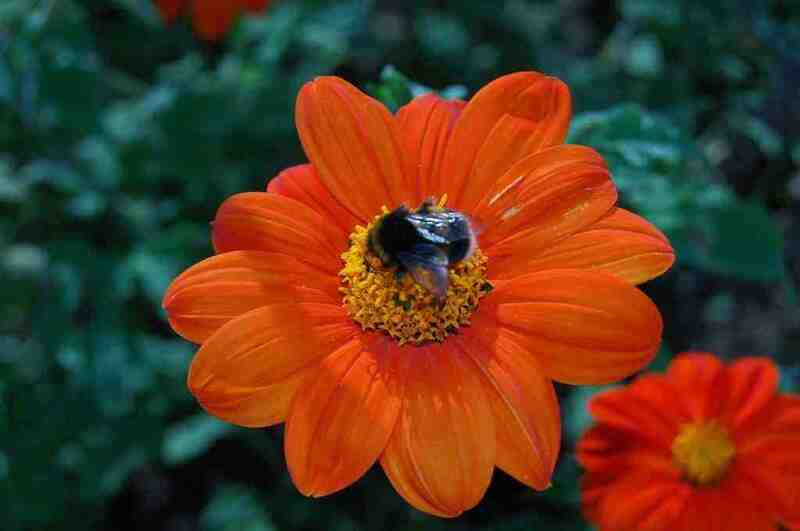 *Plant Tithonia in a sheltered spot….stems can be fragile. *Dead heading (or cutting for the vase) will keep your plants flowering longer. 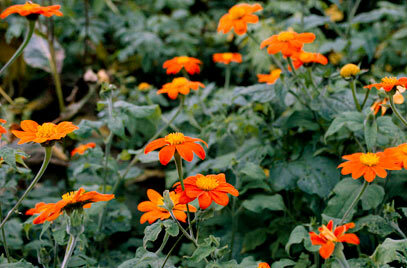 *Take care when picking Tithonia as it has hollow stems and they can break easily. *If we have a really rubbish summer….we will usually have rubbish Tithonia…sad but true…let’s get over it and move on. 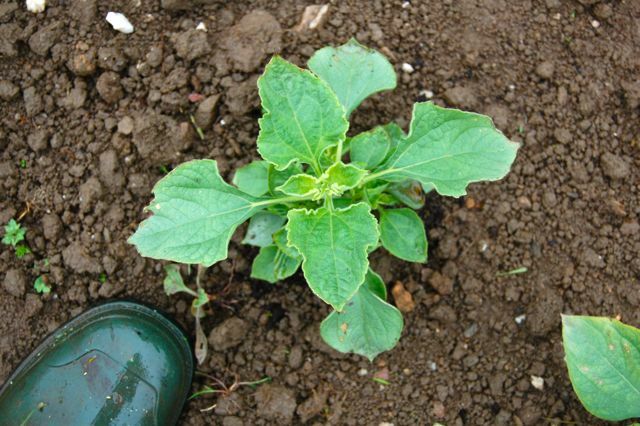 *From seed sowing to flowering should take about 14 weeks. I sell my ‘wild form’ Tithonia at £1.95 for 50ish seeds. Try growing them with bright yellow/orange Rudbeckia with perhaps some apple green spires of ‘Bells Of Ireland’…for a hot n cold, too cool for school display that will make your neighbours think that you are just simply terrific! Scabiosa ‘Ping Pong’. (Autumn Sown)	Designing The Layout Of Your Cut Flower Patch.